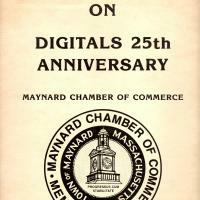 A poster by the Maynard Chamber of Commerce which congratulates Digital Equipment Corporation on its 25th Anniversary. 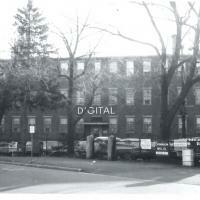 Two black and white photos of the front entrance to the Digital Building on Main Street, Maynard, MA. 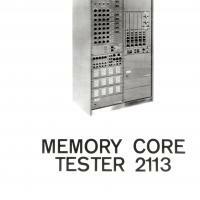 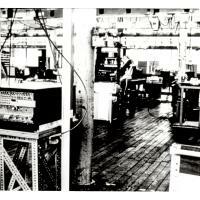 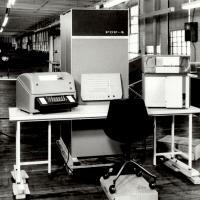 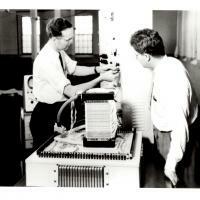 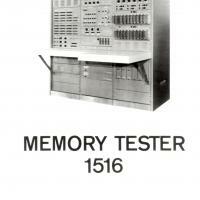 Two black and white photos of Memory Core Tester 2113. 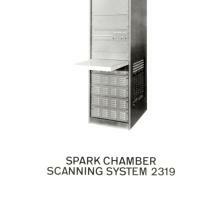 Two black and white photos of the Spark Chamber Scanning System 2319. 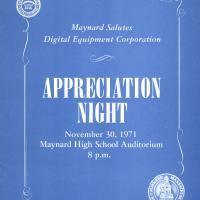 A collection of Digital Equipment Corporation documents including but not limited to the following subjects: Ken Olsen, DEC World, Manuals, Bumper Stickers, newspaper clippings, Celebrations, and a variety of documents. 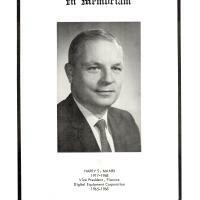 A black and white paper copy of a memorial photo of Harry S. Mann (1917-1968), Vice President of Digital Equipment Corp., 1965-1968. 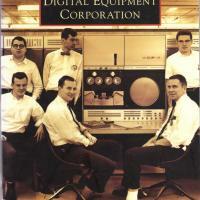 A map of the origin and development of Digital Equipment Corporation from 1957 through 1986. 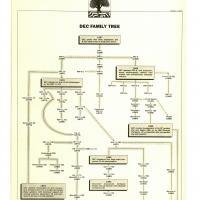 The DEC Tree is an article that was published in the magazine "Computerworld" on September 24, 1986. 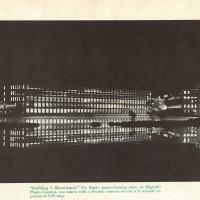 A black and white copy of a photo of the home office and manufacturing facilities of DEC.
A black and white photo of "Building 1 Illuminated" was Yu Hata's prize winning entry in Digital's Photo contest and was taken by a Pentax camera, set for a 2 second exposure at 5.6f stop. 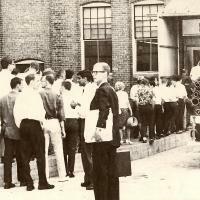 Everyone was required to leave the plant during fire drills which were scheduled periodically. 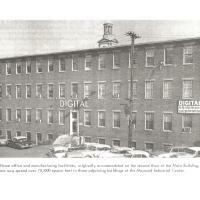 In the photo, occupants of Building #5 wait for the "all clear" signal. 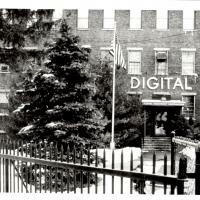 A black and white photo of DEC Building #12. 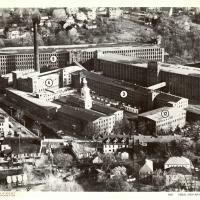 A black and white aerial view of the Maynard Mill Buildings/Digital Equipment Corp.
Two black and white photos of the interior of the DEC building. 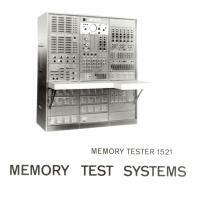 One photo is labeled "module test". 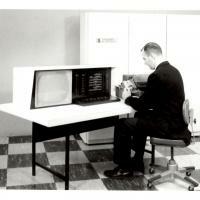 The photos are 1960 ca.